This Spy Toothbrush Pinhole Camera is a high-tech item. 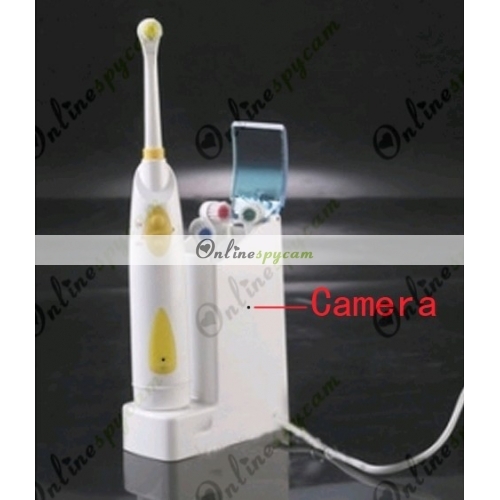 It does not only keep the function of a electric toothbrush but also can turn to be an interesting camera. There may be something that you want to record but hope other people don't know. This product can solve this difficult problem. There is a bathroom pinhole camera built inside the ordinary toothbrush. The camera's position is very covered, you don't need to worry about it will be found by others. On one hand, its original electric toothbrush function is working normally. On the other hand, you can use it to record everything without other people's notice. That means you buy one thing, but earn more usages. According to the advanced technology, the high capacity Lithium-ion battery can support the camera to work at least 8 hours. And the 16GB memory card built in itself avoid the unnecessary trouble. You don't need to add other memory cards in it. What a convenience! Though the camera is tiny, its resolution is up to 1280x720. You can get the clear videos easily. 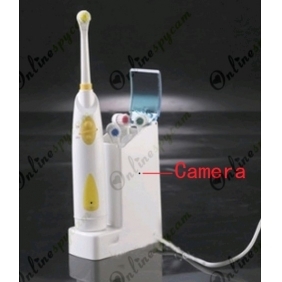 The high-tech Pinhole Spy Toothbrush Camera is easy to operate. You just need to use the remote control unit rather than manual operation. If you have the need to shoot videos but don't want others to know, this product is an excellent choice. In order to better protect the buyer's benefit, before buying a professional bathroom spy pinhole camera, please read the introduction of the product and have a look at the video demonstration sample provided by bathspycamera.com. Please contact us for more information about this product.